1. During WordSesh, someone was attempting to spread word about a site and themselves during the live chat. After negative reactions from the rest of the chat, it went from “spamming a chatroom” to “troll” status quickly (going as far as that person creating new accounts after being banned). 2. One morning I got a short unsolicited email from someone “introducing me” to their upcoming WordPress related service (using “wordpress” in their domain, which is a no-no although maybe they weren’t initially aware of it). Many others got the same email and soon many were discussing this on Twitter – which the user eventually attempted to respond to. Soon afterwards he/she published “an open letter”. I won’t spend further time on this example, but the tone of the “letter” fits into my thoughts of this post. If you’ve been on the Internet long enough, neither of these incidents will surprise you. Be honest to yourself about what you’re doing. If reaching out in mass of people you don’t already have a connection to (via email, contact forms, tweets, DMs, etc.) isn’t what you call spamming then call it a form of “cold calling“. And while this technique may work in other places and industries, but rarely – if ever – works for reaching those in the WordPress community. It’s not about your idea, coding, or marketing. 2. It doesn’t matter how well you think you code (either you think you code great, or you don’t think you can code yourself out of a paper bag). 3. Your marketing skills don’t matter (thinking you are the greatest or the worst marketing person). Note i’m not saying the above will NEVER matter… we are talking about approaching others in the WordPress community. 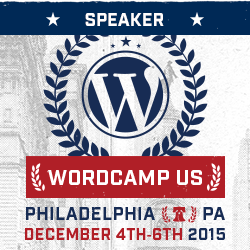 The WordPress community isn’t an exclusive club or cult… so don’t be an outsider. Those in the WordPress community respond best to those who understand or are trying to understand WordPress and open-source. To those who don’t want have the interest or don’t want to invest the time to understand the community and it’s values, it might seem the WordPress community is full of self-righteous stuck-up morons. 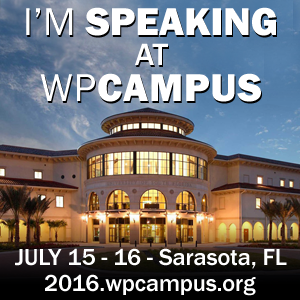 If you are trying to “shake up” the WP community with your “radical idea” then do it from the inside out. Don’t be a faceless stranger. Read the reactions to my tweet above. How do you get started? Try starting a blog, attending local WordPress meetups, and generally reaching out to meet ones in the community. Also doesn’t hurt to find a niche and be an authority in that niche. You will avoid having a big “bullseye” on your chest if you use “WordPress” (or any other trademarked words) in your domain name (read this). To the WordPress community this the equal of wearing shorts, black socks and sandals at a formal wedding. Granted, I think some people in the community get overly aggressive on calling this out to people who don’t know any better (that’s another post) but you should research trademarks before announcing your company or product. So you made a mistake in your initial approach. Maybe you DID spam or the reaction to your “message” wasn’t received well by the community (for whatever reason). That’s ok. A great thing about the WordPress community is that it forgives and doesn’t hold back in giving suggestions (which for the most most are constructive). It’s the REACTION to the feedback you get that truly establishes yourself. Listen. Accept feedback and criticism. Resist the urge to overly defend yourself to a community you don’t understand yet. I’ve made a ton of stupid mistakes. And i’ll make a ton more. But I try to be humble and accept the feedback of my peers and those in the community (even though it’s in my nature to NOT accept these humbly). Sometimes it’s best to not do anything – or simply say “thank you” – instead of trying to mount a defense on Twitter or in the form of “open letters”. In the end, even if you are right, it’s your attitude that leaves an impression on people. The currency of perception is ultimately more valuable than any code, idea, or marketing technique. Be a part of the community you want to “profit” from. Speak or volunteer at a local meetup or WordCamp. Get involved with the WordPress project (there are a TON of ways to do so – even if you don’t know or don’t care to know any code). You don’t have to be a core contributor to have a successful WordPress product or business. But you should have the same overall attitude – always be learning, sharing that knowledge with others in the community in an approachable and positive way. I’ve seen more than a few organize and volunteer thinking that it by doing so that will “increase awareness of their product or brand”. 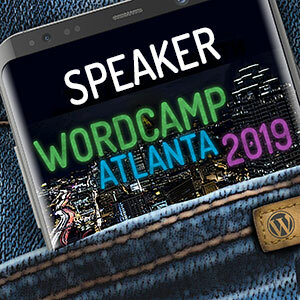 I’ve seen people try to speak at meetups and WordCamps for the primary reason of promoting themselves and their business (in varying degrees of obviousness). It’s sad when they don’t understand WHY… it’s even sadder when they blame this on WordPress being an “exclusive club that isn’t letting me promote myself” instead of realizing what was off in their baseline thinking. Get involved for the RIGHT reasons. Get involved because you want to give back to the community, help and educate others, and grow your skills and experience. Great posts came out this past week from successful WordPress developers about doing business in WordPress and how they interacted with the community. I’m open to thoughts as to how ones on the outside of the WordPress bubble perceive the WordPress community, and what lessons learned (good or bad) you may have had that can be applied here. Update: Chris Lema published some great thoughts on tips on approaching the WordPress community (funny enough posted at almost the same time as this post) with your product or service. In the usual Lema style, he gives a great positive spin. Worthy of a read.